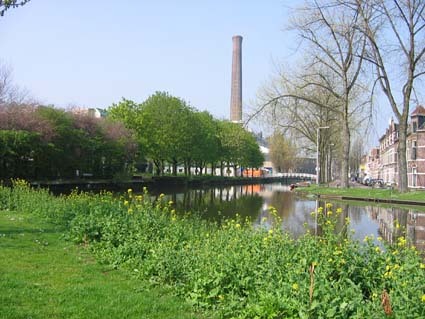 Here are some nice random photos of the city of Leiden in the Netherlands, where we live. 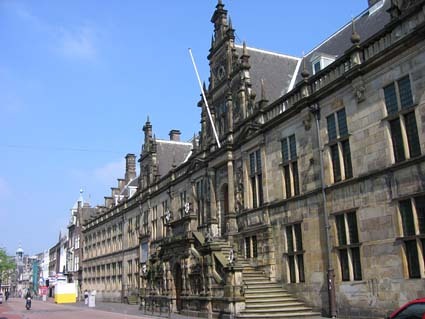 Leiden is the birthplace of Rembrandt van Rijn and has the oldest university in the country. 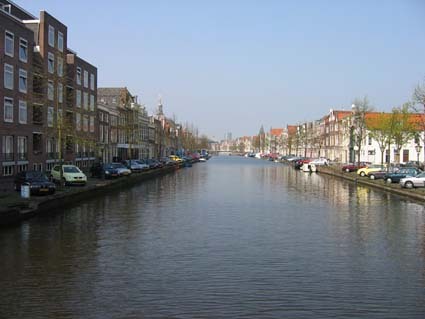 There are lots of canals, church spires, narrow alleys, and monumental buildings. 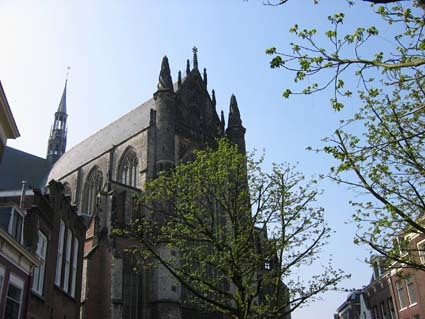 Pieterskerk, founded in 1121 as the Counts’ chapel dedicated to the Apostles Peter and Paul. 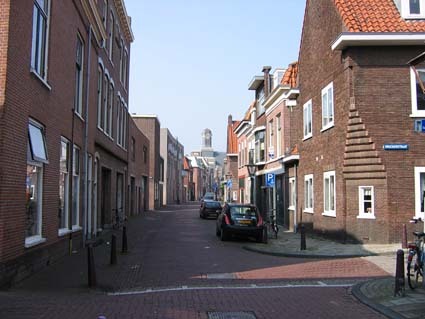 Nieuwstraat, with the city library on the right. 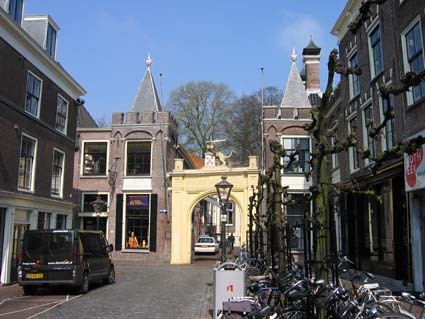 The yellow gate leads to the old Burcht, or the Leiden Castle, which dates back to the 12th century. 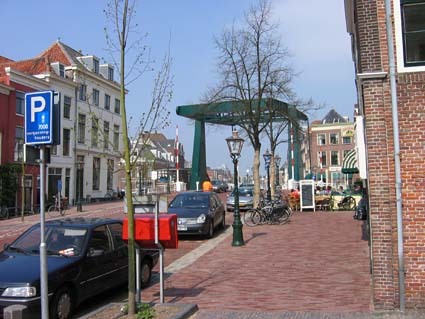 A view on the terrace of Annie’s Verjaardag in the center of town. 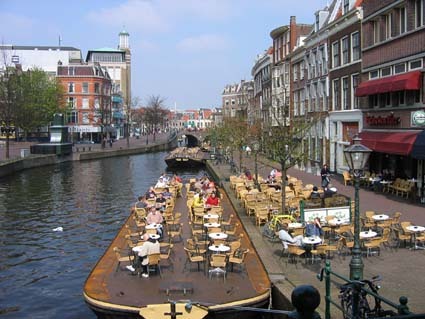 Barges are brought in to the canals in the city to make extra space for terraces of bars in the summer. 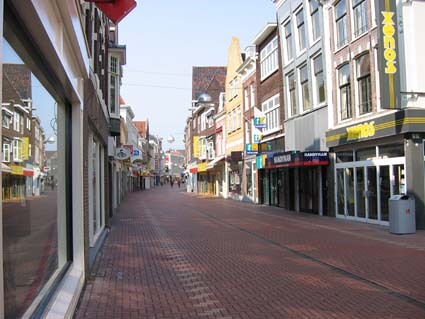 This is Nieuwe Rijn. 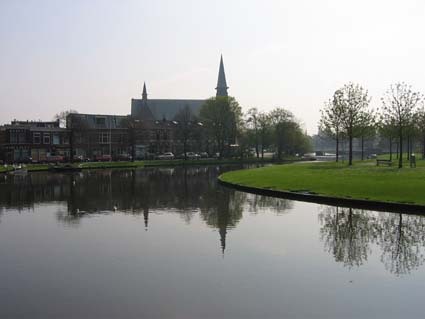 A view on Beestenmarkt from Blauwpoortshaven. This entry was posted on Saturday, March 18th, 2006 at 6:16 am CET and is filed under Leiden, Life in Holland, Travel	with tags . You can follow any responses to this entry through the RSS 2.0 feed. You can leave a response, or trackback from your own site. 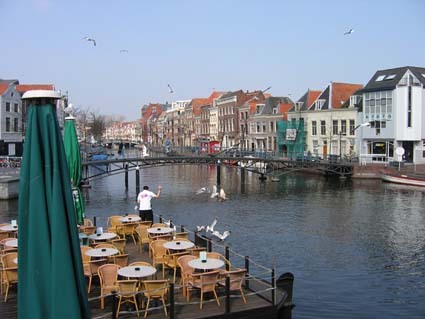 nice to see your pictures of Leiden, the city I was born way back in 1956. Our home at the time was a houseboat on the Herensingel near the -then- railway yard. 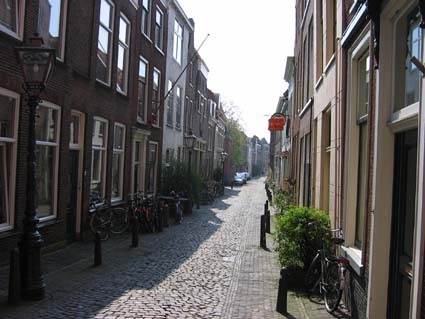 Your picture of the van der Werfstraat shows a street I’ve never seen, all the houses are new. My mother was born in this street just after the first world war. 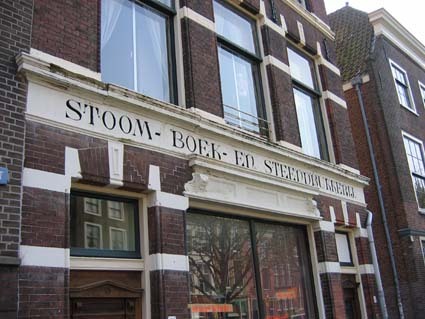 My dad’s last job was as a stoker at the university’s library, the workers entrance was at the Kloksteeg and I still remember the winter of 1963, we had to keep our houseboat free of ice and keep the library’s boilers going 24/7. Have you ever seen the calenders published by Nico van der Horst ? 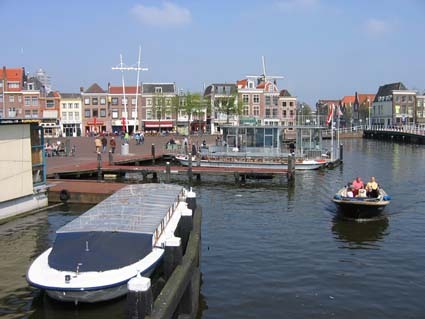 They show the leiden as I remember it, some 40 years ago. waar kan ik een print terug vinden van een woonhuis ergens in de Haarlemmerstraat,uit de 18e eeuw.Zag deze jaren gheleden op het internet.